Is This The World's Smallest Linux Laptop? - OMG! Ubuntu! Is This The World’s Smallest Linux Laptop? Measuring at less than 100mm wide and 17mm thick with a dinky 3″ screen, the Ben NanoNote might just be the world’s smallest Linux laptop for the traditional definition of the word. While pulling this out in public might get you a few odd looks, the Ben NanoNote actually runs a relatively feature rich piece of software called OpenWRT. 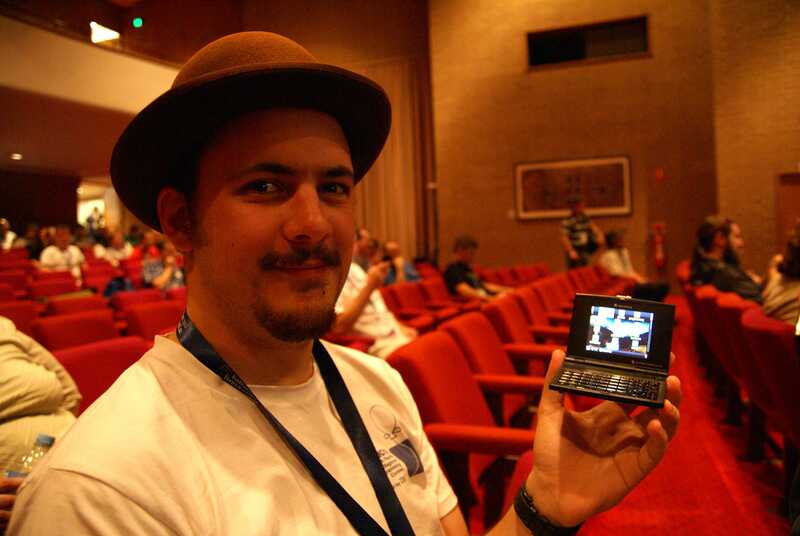 It also happens to boast entirely open hardware and software, which not only makes it crazy small, but also Stallman-approved. You might be fooled into thinking that Reducto from Harvey Birdman had gotten his hands (and shrink gun) on an old ThinkPad and made it fun size, but in fact this laptop is actually available to buy at $99.00 plus a small (literally) amount of shipping. Its MIPS CPU architecture ensures you won’t be running Ubuntu on it unfortunately, but OpenWRT comes with a variety of useful tools, including seven(!) 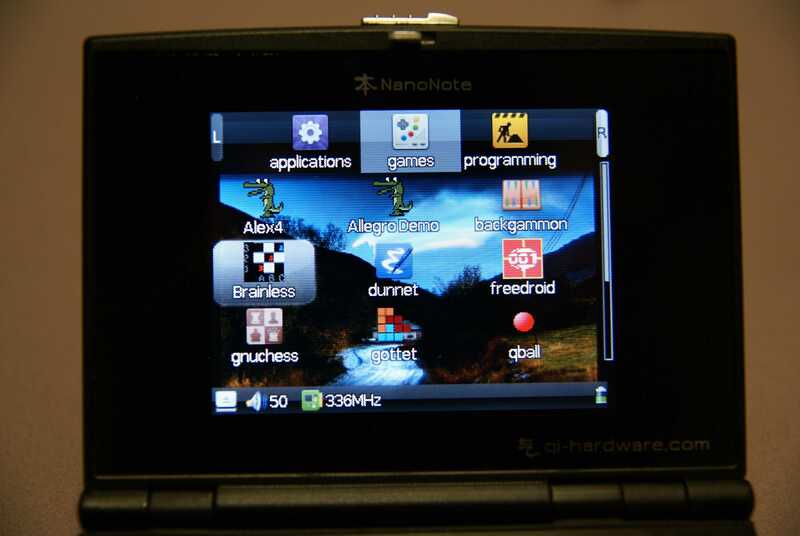 different terminals, multiple games (many of which are similar to Gameboy games from the 90s), as well as a browser (useless 99% of the time considering the NanoNote doesn’t have any wireless connectivity) and many other goodies. The CPU runs at 336MHz but can be overclocked to 480MHz within the Settings menu by default. It also has 32MB of SDRAM, 2GB of flash memory, a small speaker and microphone, mini USB, and gets around 12 hours of battery life. Typing on the Ben NanoNote is best achieved with the thumbs, weighing in at 126 grams it can easily be held in the hands just like a phone. The NanoNote is snappy enough, although we’re not asking much of it. Applications are widely inconsistent in appearance and behaviour, and there’s no consistent “back” button to exit applications so often a power cycle is the easiest way to get back to the home screen. It only takes a few seconds to boot. Apparently it’s impossible to brick, and new versions of the operating system (as well as other MIPS compatible operating systems) can be flashed via USB, which is also how you give the NanoNote internet access via tethering. 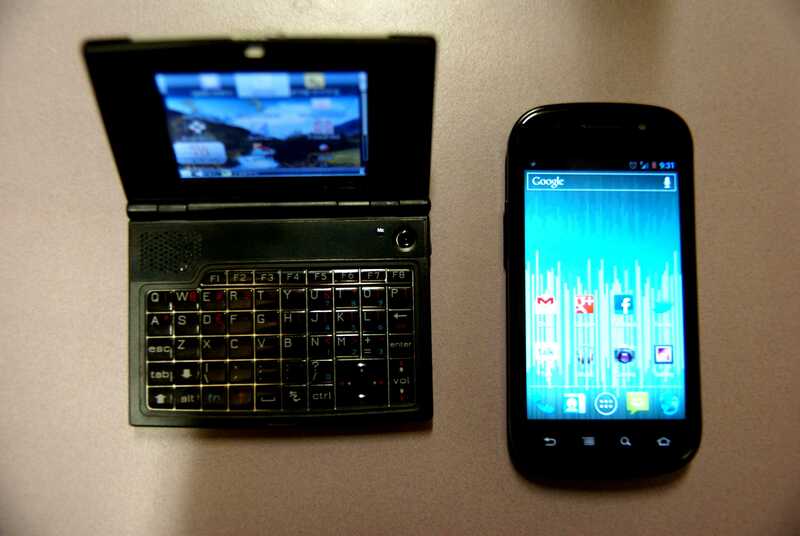 I spoke to Josh Deprez who bought one last year, and asked exactly what he uses his NanoNote for. Josh said he uses it successfully for note taking and graphing mathematical functions much like a graphics calculator, and a bit of light programming on the fly. Josh also says that it makes a decent audio player if you’re prepared to play .ogg files as the codec support isn’t fantastic. So there we have it – is it the world’s smallest Linux laptop? If we exclude phones and stick to a conservative definition of ‘laptop’ then I think it just might be! 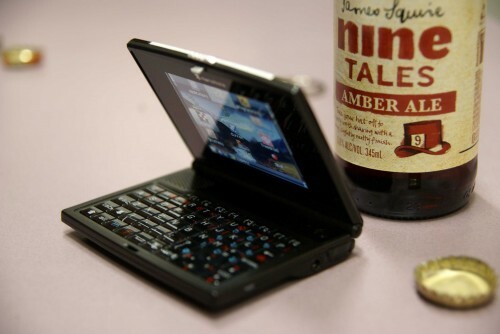 You can purchase the Ben NanoNote mini laptop for $99.00 plus shipping from this website if you’re that way inclined.